What's My Lake Nona Home Worth? BACK ON THE MARKET - REDUCED PRICE! GREAT VALUE now available - hard to find OVERSIZED lot in the most desirable area of Castle Pines. 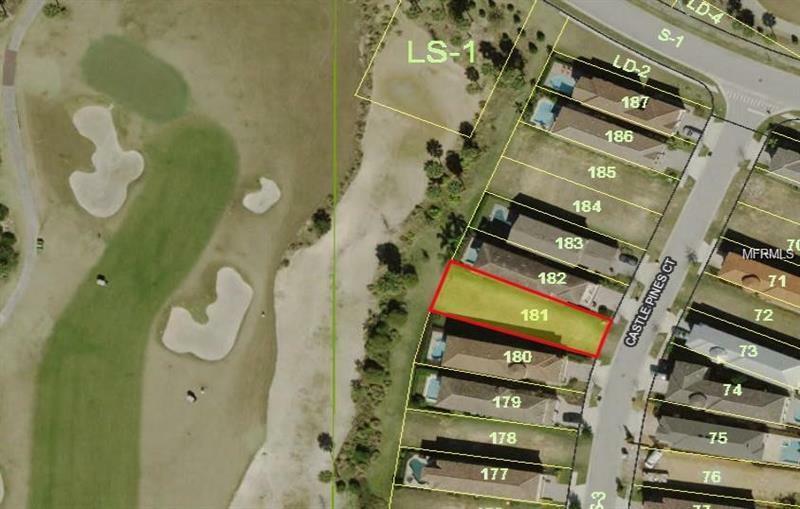 This lot has a GOLF COURSE VIEW with extra width at the back of the property to allow more flexibility in home plan and more space for outdoor living. Any home built here will enjoy a beautiful view of the 6th fairway and green of the Jack Nicklaus signature course with a backdrop of some of the largest and most elegant Reunion mansions. The back of the lot is also WEST FACING making it ideal for lots of sun and evening sunsets from your private pool area. Choose from any of the Reunion featured builders to build your ideal permanent residence or vacation home whenever you are ready - there is no build compulsion time at Reunion. Reunion Resort is a 2300 acre Resort and Golf Community just 6 miles from DISNEY and the parks 20 minutes to the Orlando International Airport and easily accessible to the major roads I-4 US 192 and SR 429. The outstanding amenities on property include: 3 World Class signature golf courses designed by Arnold Palmer Tom Watson and Jack Nicklaus; 10 swimming pools and a 5 acre Multi-Million Dollar Water Park; award-winning tennis complex with 6 lighted courts and 2 Pickle Ball Courts; boutique Spa and 2 fitness centers; numerous on site restaurants and lounges one of which is just a short walk to this property. Owners have PRICED this one TO SELL - come see it today! Amenities Additional Fees: Full access to 6 swimming pools, fitness center, boutique spa and all restaurants/bars included in HOA. Optional membership program gives full access to 3 onsite golf courses, 5 acre water park, 4 additional pools, 6 tennis courts and pickle ball court. Copyright © 2019 Mid Florida MLS. All rights reserved. The data relating to real estate for sale on this web site comes in part from the Internet Data Exchange Program of Mid Florida MLS. Information provided is for consumer's personal, non-commercial use and may not be used for any purpose other than to identify prospective properties consumers may be interested in purchasing. Totalorlando participates in the MFRMLS Internet Data Exchange (IDX) program, allowing display of other MFRMLS broker's listings on this site. However may not include all listings currently available. Information is deemed reliable but not guaranteed. Information last updated at 2019-04-24 04:12:42.